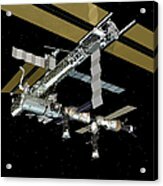 May 2007 - Computer-generated artist's rendering of the International Space Station following scheduled activities of May 15, 2007. 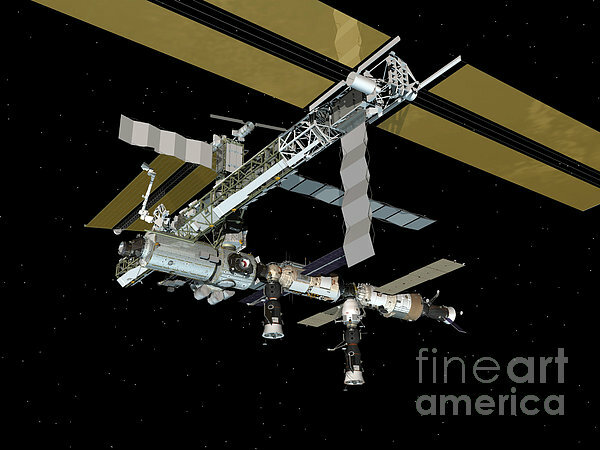 This angle shows the port side of the orbiting complex. 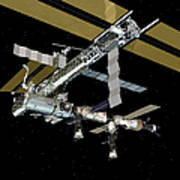 Progress 25 resupply vehicle docks to the Zvezda Service Module aft port. Soyuz 14 (TMA-10) remains docked to the Zarya Module nadir port and Progress 24 resupply vehicle remains linked to the Pirs Docking Compartment.